One of China’s richest men has gone missing amid rumours that he was arrested in a graft investigation, according to multiple media reports. Guo Guangchang, a self-made billionaire tagged “China’s Warren Buffett” for his highly successful investment portfolio, went incommunicado on Thursday. Trading of his Fosun International was suspended at the Hong Kong Stock Exchange on Friday. 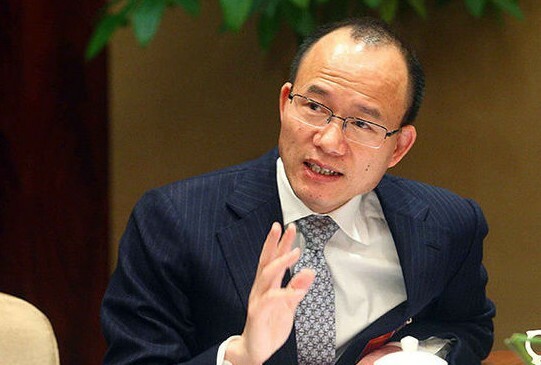 Rumours that the chairman of Fosun International was seen taken away by police at the Shanghai airport after flying in from Hong Kong started circulating on Chinese social media on Thursday afternoon, reported National Business Daily. Caixin later said it had confirmed that Guo, 48, had gone missing since noon. 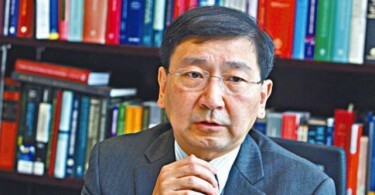 The financial media said it was not clear whether Guo was taken away for questioning or detained as a suspect. Guo’s phone was turned off and Fosun executives told Caixin he “was still in Shanghai at noon.” Guo’s family said they did not know he had gone missing. However, BBC Chinese reported that Fosun management staff denied Guo had been detained. The company will issue a statement, the report said. Fosun International is a HK$115 billion conglomerate with businesses in medicine, steel, property, insurance, and other industries. Chairman Guo, valued at RMB50 billion (HK$60.2 billion), is China’s 17th richest man, according to the 2015 Hurun Rich List. Guo was implicated in a corruption case earlier this year involving Wang Zongnan, former general manager of the Shanghai Friendship Group. Wang was sentenced to 18 years for bribery and embezzlement. The court found Guo had sold two houses to Wang’s parents at a price significantly lower than market value. Guo’s Weibo posts have all been deleted. Photo: Weibo screenshot. However, Fosun later issued a statement denying any illegal dealings with the Shanghai Friendship Group. 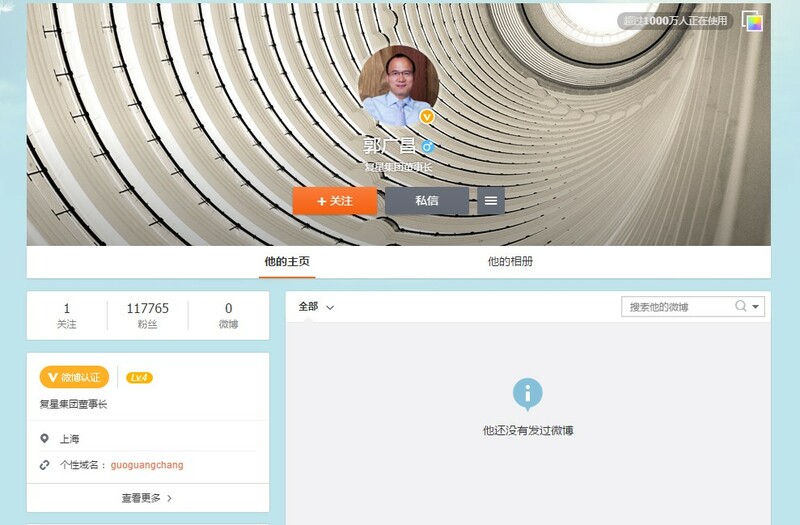 By Friday morning, all posts on Guo’s official account on Weibo, a Twitter-like microblog platform, had been deleted.